There are so many spectacular sights to visit in Western Australia, which is why it is classified as one of the most popular tourist destinations in the world. The state has an incredible outdoor lifestyle and a great climate to match. For all of the above reasons, WA is now becoming a much-desired location to live, work and play. The city of Perth is Australia’s sunniest capital city, making it the perfect location to explore this great state from. 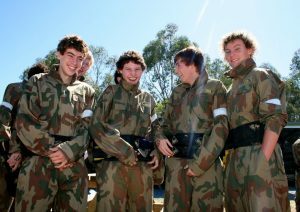 You might already know that Perth offers some of the country’s best beaches and a relaxed outdoor lifestyle, but you might not know that Perth also offers some of the best paintballing in Australia. There are various paintball centres that surround the city, however only two of them have received an AUPBA 5-star rating – the highest accolade a paintball centre can receive. Delta Force Muchea and Delta Force Bonneys are conveniently located less than an hour from the CBD and offer the ultimate paintball experience. 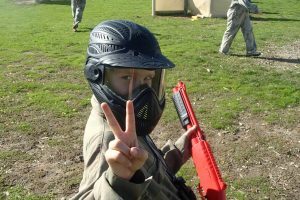 Both paintball centres offer incredible movie-set game zones, state-of-the-art equipment and have impeccable safety standards. They have revolutionised the paintball industry and improved facilities across the board making the sport of paintball safer and more comfortable with a range of their own initiatives, such as body armour to protect the upper torso and full-length body suits with added neck protection. All of this combined means that you will have a more enjoyable day out on the paintball field. To view the locations of these fields, click here. With a great year-round climate and incredible Australian bush surrounding the city, Perth is the perfect setting for a day of paintball action. The sport has taken off on astronomical proportions and with thanks to paintball centres such as Delta Force, the sport will continue to grow and a safe but fun environment. So get your friends together and enjoy your next Perth paintball adventure!